The naval Battle of Colberger Heide (or Colberg Heath) took place on 1 July 1644 during the Danish-Swedish War (part of the Thirty Years War), off northern Germany. It was a slight victory for a Danish fleet commanded by Vind, assisted by Grabow and King Christian IV, over a Swedish fleet commanded by Fleming, assisted by Ulfsparre and Bjelkenstjerna. 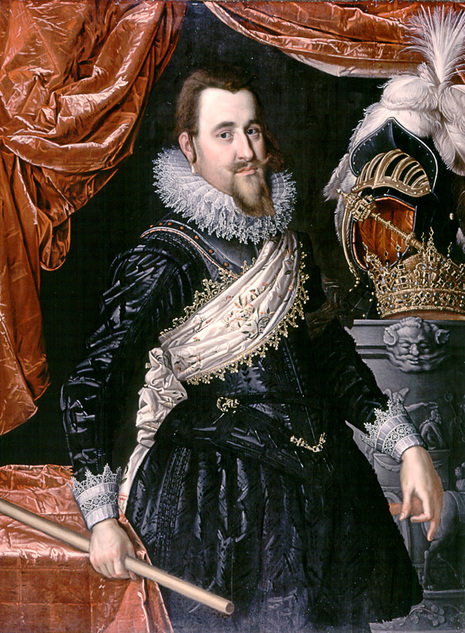 Christian IV of Denmark had been drawing closer to his former Habsburg foes. He was entertaining the idea of entering the war on the Imperial side, which would have placed the Swedes in a perilous position. Oxenstierna determined to strike first. The main Swedish field army under Torstensson was besieging Brünn (Brno) in Moravia. On 2 September, 1643, at Oxenstierna’s command, they suddenly retreated across the breadth of Germany. On 22 December, 1643 they began to advance up the Jutland peninsula. Christian was no more able to stop the Swedish veterans than he had been able to stop Tilly’s forces nearly a decade before. The Emperor called Gallas to bring the Imperial forces in Bohemia westward to aid Christian. Gallas did not march west until the autumn of 1644 and, upon his juncture with the Danes at Kiel, lay utterly inert. The loss of Jutland, combined with attacks against the areas of Denmark bordering Sweden and naval attacks by a powerful fleet the Dutch were persuaded to provide, proved too much for the Danes. In November, 1644, an armistice was signed with the Swedes.